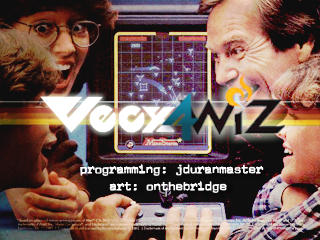 Vecx4Wiz is a Vectrex system emulator for GP2X Wiz. Gigios of Openconsole.it has just released this new simple app code in Bennu GD. I've ported the game Total Devastation 2 Rebirth (V0.7) to Pandora. I have ported the Yeti 3D Pro engine on a module to use with BennuGD, it's a port of the Module for BennuGD windows version created by Colombian Developers. I't works great on Pandora. I've ported the game Bubble Pop to Pandora, Gp2x Wiz & Caanoo. 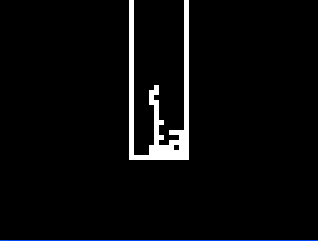 It's a touchscreen puzzle game. Phew, I finally find the time to summarize everything that has happened during the last weeks. Anyways, now that I submitted the newest testing equipment to CircuitCo, I've got a bit time to make a post telling you guys what's going on right now. You might've seen that there was a WiFi issue last month. A few boards with non-working WiFi slipped through, however, nearly the full batch of 300 PCBs had this issue! This was totally unexpected. Each shipment from CC brought as different issues, however, only about 10 - 15 boards out of the 300 they sent us were affected. This time, it were a LOT more. The module basically handles WiFi completely itself, basically you just communicate with it and connect an antenna. That's all. Therefore, CC only tested if the modules initialize. If communication works, WiFi should work as well. Well, that worked fine for the first 2000 PCBs. Then it looks they adjusted some parameters in the production leading to a very bad RX. Their test didn't find that issue, as the initialization of the module was fine. It just seems to not have a proper connection to the antenna - maybe the module is misplaced a bit. 1. New PCBs could not be produced, until the issue had been found. Producing a few hundred boards more where most fail will just lead to much more work, time and money to fix them as well. 2. We had to create enhanced test equipment for CC so they could quickly test various aspects of the PCBs that haven't been tested before. I built four testing rigs two weeks ago. These are modified cases mounted on solid ground where CC can just plug in the PCB and click the keyboard on top. These arrived last week Wednesday. Additionally, with notaz' help (and thanks to WizardStans post here), I created a new testing setup that CircuitCo will now be using to do all tests. This should detect almost every issue a PCB has before it gets shipped to us! 5. Connect to an SD Card inserted into slot 2 via mass storage mode and USB Host / USB OTG. Create a random testfile on the SD Card and check with md5sum it's correct. 6. Connect to the internet via WiFi and download a file. 7. Flash the bootloader on the NAND. 8. The only not fully automagic test: Test every key, nub, button, touchscreen, etc. Also check the speaker output and the headphone port. I submitted this final testing card yesterday night. They now have four complete testing rigs including an SD Card which tests most parts of the Pandora fully automatically. The already had one that did the WiFi test for two weeks, so they could work on that. What's the status with CircuitCo? They started to investigate the WiFi issue a few days ago. I also asked for a status report to find out how many PCBs they have already produced that only needed testing and if they already found something out about that WiFi issue. Hopefully it's just a bad connection to the antenna, as that would be a quick and easy fix for them. I'll post more updates as soon as I get them from CircuitCo. You never know with them, though. Sometimes I get replies within one day, sometimes it takes a few days just to get simple questions answered. I'll keep eMailing them as much as I can. While they have not stalled, they slowed down. So far, we put aside any Pandoras with issues to take care about them later and ship as many properly working ones as possible. As we had the stallment in the production due to the WiFi issue, Craig finished all the easy-to-build Pandoras last week and is now building the Pandoras that need more work. This is a lot slower, of course, but hopefully CC will have found the WiFi issue and will resume production now that they can properly test every PCB! My customers also had to wait a bit longer during the last weeks. While I have about 80 Pandoras at home I just need to test and build right now, my main priority were the testing rigs and new testing routines so that CC could start to work as soon as possible on them! 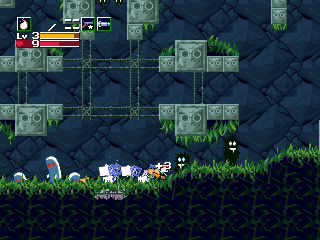 Combined with a lot of work in my main job, I had very little time to work on building the Pandoras. 50 of those 80 PCBs need to get new nubs (they still have the old ones on them), the rest is testing and assembling. As the testing rig is now behind me, I finally have time to continue building the units. And if we're lucky, I already have the next batch of boards from CC when I'm finished with these 80! •Don't try to go to China to get stuff cheaper. It's not worth the hazzle. Yes, it's cheaper, but it also takes a lot longer and in the end, it's not cheaper if you sum everything up. •If possible, try to work with companies that are sitting near you. The iCP production is happening right round my corner. I can visit them to solve issues quickly and they never missed a deadline and gave me updates on the status whenever I requested it. Craig also made a very good experience with the company that produce the iCP case. No issues like we had with the company in China. The company is also just located round his corner, which made things easier. Additionally, you safe a lot of work and time, because you don't have to worry about costs. So if a Pandora 2 ever happens (who knows), then we'll most probably work with companies that are sitting near us, so we can visit them anytime and actively work together to create a high-quality product. This is far away in the future, though. Of course we want to finish the Pandora 1 first and make sure you all get one. This means a lot of work for us, but we won't hide from that! notaz and DJWillis are both working on the next big OS, which should be a lot more stable and have included more recent software. No idea how long it will take, but each day some more bugs are squished. In the meantime, I am also working with skeezix and some other devs on the next Hotfix for our current OS. The main goal is to improve userfriendlyness. Hotfix 6 Alpha 2 already includes Tempels PNDStore for easy automatic software installation as well as some improvements of the XFCE default setup (menus, panel, etc.). These improvements will also be included in the big OS update, so it makes sense we're working on this in parallel. As I didn't have much time lately (explained above ), I couldn't watch that much over the boards. I just saw some flaming, trolling, etc. going on. If we had a quick and easy way to increase the production speed and deliver all your units at once, we would do so. We are at the mercy of CircuitCo ourselves. We are constantly pushing them as good as we can and we are trying to do as much as we can ourselves (like replacing old nubs, etc.) to save time and money. Also, I've seen some Pandora "Fanboys" flaming normal guys who criticize the Pandora here, as well as critics who try to tell the Pandora fans that the unit is not useful for anything. Well, both doesn't make much sense. Everyone can have his own opinion about the Pandora. Fans, please understand that not everyone sees the Pandora as something valuable. That's their right, and if they can explain why, there's no reason to insult them. But critics: Please understand that the Pandora HAS features no other device has, and these features are of interest to the fans. There's no need to tell them this is useless. It's up the them to decide what they need and what not. Feel free to discuss about the advantages and disadvantages of the Pandora, feel free to criticize the production or anything else, but do that with respect. No insults, no false accusations or anything else. Finally, I'd like to emphasize that we'll still try anything possible to keep the Pandora going! We WILL work our asses off, if need be! As long as you want the Pandora, we'll try to get it to you! 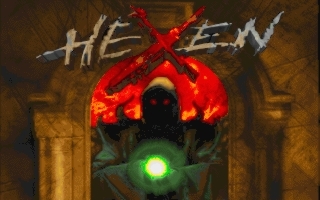 Final (I guess, all fixed) version of my HHexen port, featuring: sound and music, save autonaming. 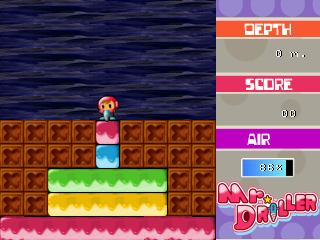 adjusted menus, improved controls, screen scaling and lots of speedups. 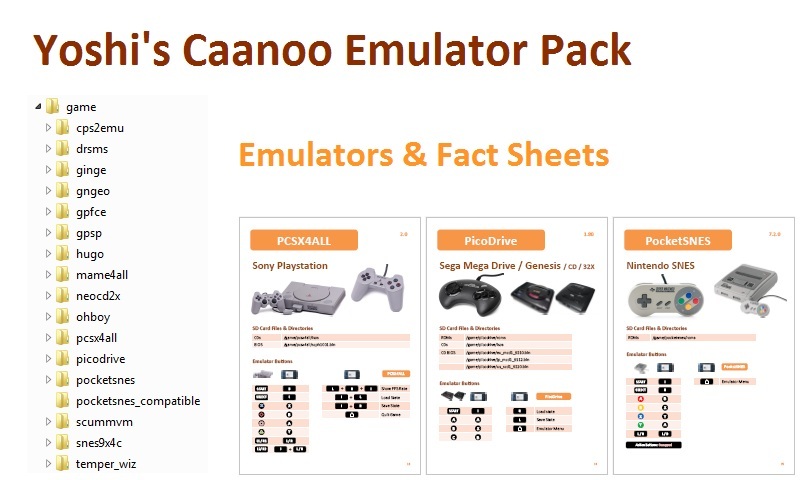 I've done a minor update to the Caanoo DrSMS port. 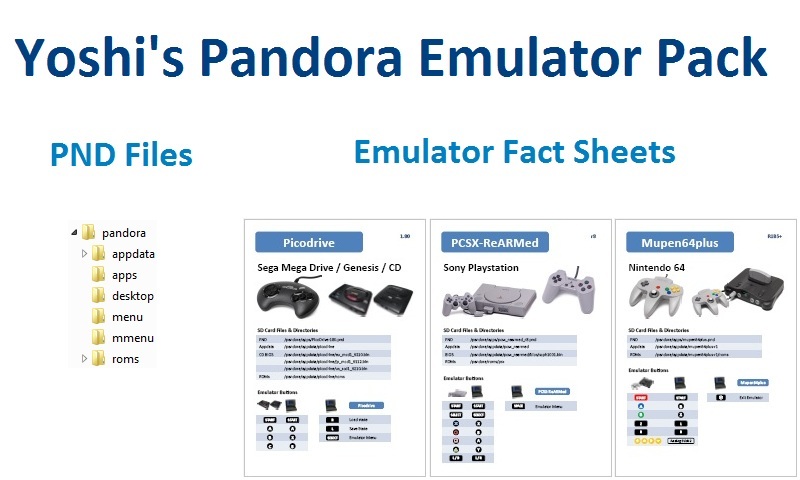 DrSMS is a Sega Master System and Sega Game Gear emulator, the download is below. Deadzone configuration for Caanoo analogue joystick. There is now a option on the main menu to allow you to configure the deadzone, this setting can be saved to disk so you should only have to set this up once. Quick saves now save to disk. When your press R, the emulator will now create a save state and save this to disk. You can change which save state slot is used by changing the new "Default Save State Slot" options found in the SMS or GG options screen. Extract the contents of the release zip file to the apps directory on your SD card. Copy your zipped or unzipped SMS/GG roms anywhere you want on the SD card..just remember where you put them. DrSMS should now appear on your Caanoo APPS menu, select it to launch it. The menu is pretty straight forward, just go to the SMS or GG rom select option. Browse to where you stored your roms and select the game you want. Thats about it, just leave a post here if you get stuck and someone will help you. for TV out and external usb joysticks using the cradle ! The cursor will move with the piece. The cursor will not move with the piece. HELP I : Bring up the menu during gameplay. - Pieces that have a ring around them are stuck to the playfield. - Pieces that do not have a ring are mobile/movable. directional pad in the direction you want to push the piece. - If you use the A button, the cursor will stay still. - If you use the X button, the cursor will follow the marble. marbles involved in the collision will be eliminated. - A green marble will eliminate a blue marble. - A blue marble will eliminate a red marble. - A red marble will eliminate a green marble. - A purple marble will eliminate any color marble. - Any color marble (except yellow) will eliminate a yellow marble. Music is created by donskeeto ! Thanks man, for everything you've done so far ! 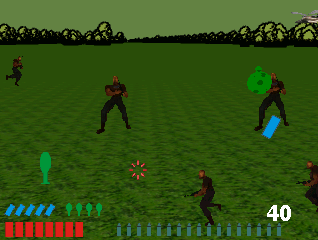 The game uses certain graphics and sounds from flavor's GP32 Version. code. It gave me some more insights on how certain things worked ! The sounds used by flavor's GP32 version were created by DJ Tilzs. 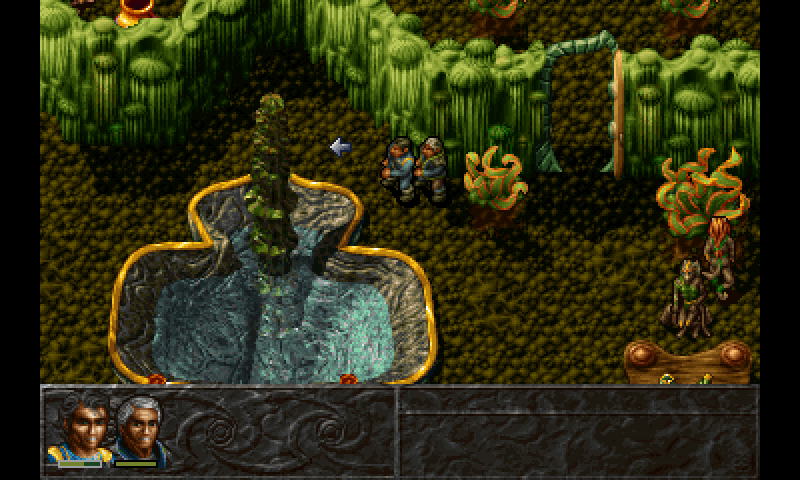 Orginal game was created by Jonas Norberg and Björn Kalzén. 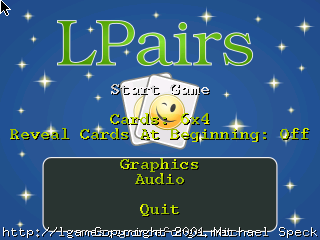 The gp2x version uses code from this game as well as modified (piece) graphics. 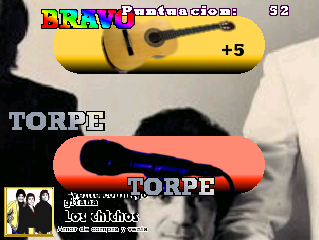 and include support for external joysticks in this game and the games that will follow! He also (beta) tested the game a lot ! The two included userlevels face and line are also created by him !